THE Autumn & Winter Lunchtime Concerts Season at St David’s Hall features an incredible FIVE out of seven performances with a ‘Pay What You Will’ price-tag! All you need to do is turn up in time for the 1pm performance and pay what you feel is appropriate – it couldn’t be easier! 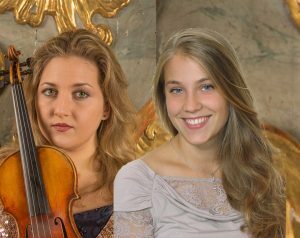 The ‘Pay What You Will’ season starts in style with the 2015 Kenneth Loveland Gift winners Francina Moll Salord & Anna Szałucka (Tues 26 Sept) as the supremely talented violin and piano duo perform a powerful programme of Ravel, Prokofiev, Debussy and Syzmanowski. Founded in 2000, the Kenneth Loveland Gift commemorates Kenneth’s work of helping young musicians, and his fine legacy lives on in this captivating concert (PAY WHAT YOU WILL). 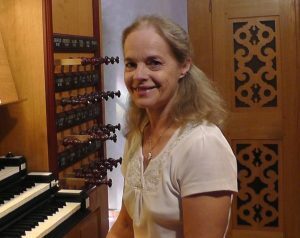 Internationally renowned organist Margaret Phillips (Tues 3 Oct) graces the Hall the following week in association with Cardiff Organ Events. Margaret’s wonderful recital includes works by Francis Jackson, Lionel Rogg, August Gottfried Ritter and Edwin Lemare. Also, featured in the repertoire is Prelude & Fugue in A by J.S. Bach – of whom Margaret has previously recorded the complete works (PAY WHAT YOU WILL). 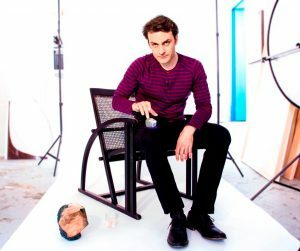 Revered for his “restless, inquiring mind”​​ (International Piano) pianist Ivan Ilić (Tues 7 Nov) delivers breathtaking renditions of Tchaikovsky and Rachmaninov. This compelling performance forms part of the city-wide R17 Festival, which marks the centenary of the Russian Revolution and captures the social and cultural explosion of the era (PAY WHAT YOU WILL). 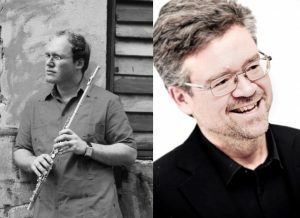 A fortnight later there’s something a little bit different as Jose Zalba-Smith & Jan Willem Nelleke (Tues 21 Nov) join forces for a thrilling concert in association with the Vale of Glamorgan Festival. This programme of incredible versatility stretches the flute and piano to their limits. Within this veritable feast are the intricate rhythms and textures of Steve Reich, Ian Clarke’s highly energetic The Great Train Race and John Metcalf’s evocation of an idyllic summer holiday entitled Calm (PAY WHAT YOU WILL). Then there’s a pair of Christmas concerts guaranteed to get you in the festive spirit. 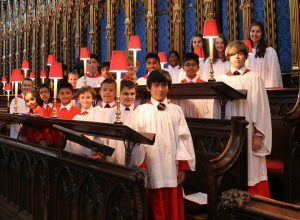 Firstly, Cardiff Metropolitan Cathedral Choir (Tues 28 Nov) produce plenty of yuletide cheer with a magical medley of traditional carols accompanied by members of the Concert Orchestra of St John’s College (£6 IN ADVANCE & £7 ON THE DAY – CONCESSIONS AVAILABLE). 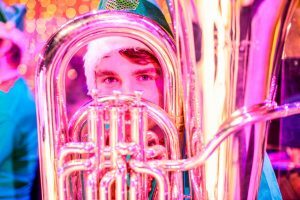 Plus, the Royal Welsh College Brass Band (Fri 8 Dec) reel off festive favourites for a sing-a-long with the whole family – the perfect escape from the winter weather and Christmas shopping frenzy! (£6 IN ADVANCE & £7 ON THE DAY – CONCESSIONS AVAILABLE). 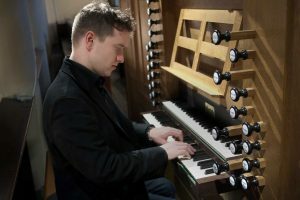 The Autumn & Winter season closes with another enchanting organ recital as the acclaimed Daniel Moult (Tues 30 Jan) performs Bach, Britten and Brockless amongst others (PAY WHAT YOU WILL). St David’s Hall Manager, Roger Hopwood said: “The ‘Pay What You Will’ Lunchtime Concerts emphasise the ongoing commitment of the National Concert Hall of Wales and Cardiff Council in hosting high quality concerts, which are accessible to all. *All of the Lunchtime Concerts in the Autumn & Winter 2017/18 Season at St David’s Hall are ‘Pay What You Will’ except for Cardiff Metropolitan Cathedral Choir (Tues 28 Nov) & Royal Welsh College Brass Band (Fri 8 Dec), which are priced £6 in advance and £7 on the day (concessions available). Concessions apply to Friends of St David’s Hall, under 16s, students, over 60s and disabled people (plus one companion). No booking fee or transaction charge. The ‘Pay What You Will’ concert tickets will be available for collection from the Box Office on the day. All performances start at 1pm and last for approximately one hour.